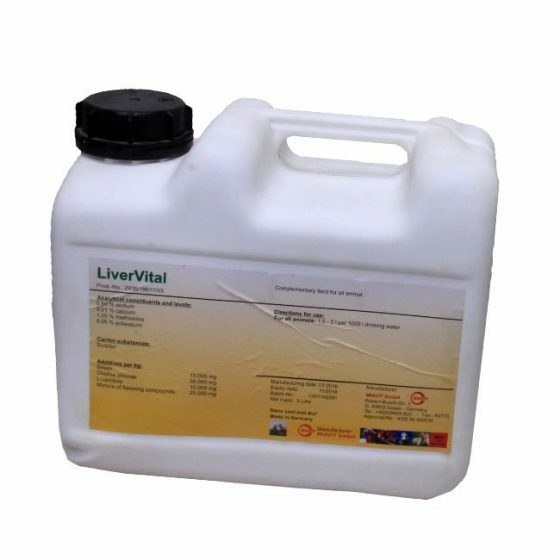 LiverVital is designed for the prevention and treatment of acute and chronic liver disorder, aflatoxicosis, non-specific anorexia to support the health and function of liver cells. Asides improving the wellbeing of hepatocytes (the cells of the liver), Livervital product also helps to relieve digestive symptoms such as indigestion and bloating. The enhanced renal tonic and cardiotonic ingredients assist in curing hepatotoxicity (liver poisoning) symptoms. Livervital is manufactured through superior technology, free from pathogenic microflora and toxic chemicals and enhanced with renal tonic and cardio-tonic ingredients.